The Most Powerful Resistance Drill Available for Tree and Timber Assessment . Capable of drilling even high density tropical trees such as Casuarina equisetifolia (Ironwood) . Brought to you by ARBORTOOLS. 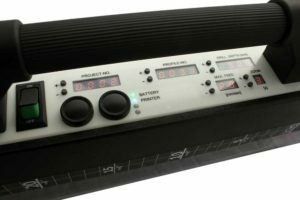 Official agent for the Resistograph R650. Utilized by arborists, architects, researchers, and foresters around the world, the Resistograph R650 has proven to be a highly reliable and useful device for measuring tree and timber structure. 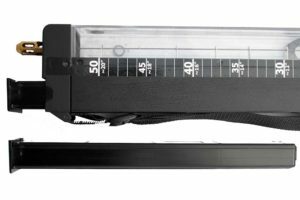 Designed and produced by Frank Rinn, the inventor, the Resistograph® R650 model is the result of over 30 years of research and development. The R650 model is powerful, precise, reliable, and capable of drilling even high density tropical trees and timber. The purpose of the Resistograph® is to measure the correlation of drilling resistance to wood density. In a recent forest research study, the R650 achieved a .94 R squared correlation of drilling resistance to wood density. Other resistance drills aren’t even close to this level of accuracy. The R650 is capable of measuring incipient decay. This is the 1st stage of decay in wood and extremely important to recognize. For example, incipient decay caused by Brown Rot can represent as much as 90% wood strength loss. 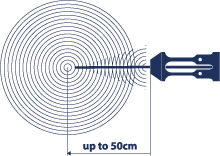 Considering tree strength loss formulas, the Resistograph R650 drilling depth of 500mm is enough to evaluate trees as large as 3000mm (3 meters) diameter. Even with this drilling depth, the Resistograph only weighs 3.9kg. and is easily manageable during drilling. The Resistograph can display realtime measurement results on a laptop computer, phone, or tablet while it is printed on the bluetooth printer. The printout is a 1 to 1 ratio sized measurement and can be held up to the tree for on-site visual comparison. The printer is included. 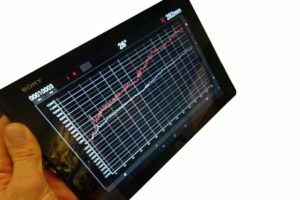 Each R650 kit includes the phone/tablet android application to watch real-time measurements, but the printout is best for direct comparison in the field. 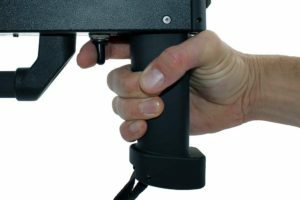 The trigger control allows for quick and easy forward and reverse thrust and can even pause during drilling. Fast reverse action also keeps the device safe when drilling near concrete, soil, or metal structures. The onboard digital push-button controls can set the project number, profile number, drilling depth in mm, maximum drilling speed, and slow drilling speed. 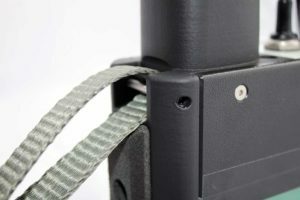 The strap attachment located on the back of the Resistograph housing allows for attachment with carabiner to a climbing harness. 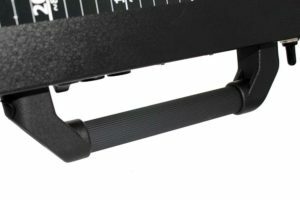 The hand grip allows for safe and easy carrying and upside down measuring when required. The battery is fast charging and safe for travel on airplanes. This Lithium ion with manganese battery has high thermal stability and enhanced safety. Low internal cell resistance enables fast charging within 2 hours and high-current reliable use. It can recharge 3000 times. The Resistograph can connect to a phone or table via bluetooth for realtime measurement display. *R650-SC model – Calibration for absolute wood density also done via phone app. Featuring high resolution, internal defects can be discovered and recorded. This includes cracks, incipient decay, advanced decay, cavities, delamination, and even 4th wall compartmentalization. The arbortools team has 10 years of experience working with the Resistograph. We have held dozens of training courses for clients. Training can be done either onsite or via video conference call. One of our experienced technicians can be available to travel to your location for lecture and field training or training can be done remotely. We have a team of experienced people that can help answer any of your technical questions. Each Resistograph also comes with data interpretation support. Send your Resistograph measurement results to us. We’ll review them and follow up with our interpretation of the measurements. The R650-Sc (scientific) model comes with an absolute wood density calibration kit. This allows the user to calibrate the device to further increase correlation between resistance drilling and wood density. This is highly useful for nondestructive scientific research on living trees. Contact us for a quotation in a different currency. 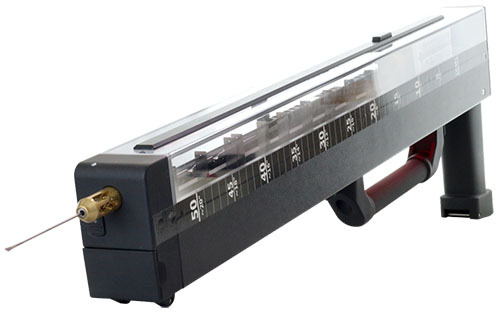 Each model of Resistograph comes with everything required to carry out drilling measurements. Each model is slightly different. Please have a look at the descriptions below and contact us to request a quote. Click “Request a Quote” above to see all the details of the model and to request a quotation. Australia, Belgium, Bulgaria, China, Cyprus, Czech Republic, Denmark, Germany, Estonia, Finland, France, Greece, Great Britain, Hungary, Ireland, Italy, Japan, Rep. Korea, Croatia, Latvija, Lithuania, Luxemburg, Malta, Netherlands, New Zealand, Norway, Austria, Poland, Portugal, Romania, Russia, Singapore, Sweden, Switzerland, Slovakia, Slovenia, Spain, Turkey, United States of America (USA).